The “Marriage Equality Law” seeks to modify some 20 articles of the Civil Code, including whose surname goes first when children are named. Opponents asked for the bill's vote to be postponed until the Senate's first meeting in April to allow more time to study the proposal. The request received unanimous approval. The bill has already received an initial nod in the Senate and it cleared the nation's lower house earlier this month. President Jose Mujica has said he'll sign the bill into law. 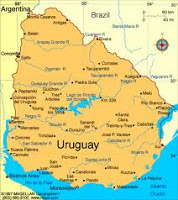 Uruguay currently recognizes gay couples with civil unions. After a couple has lived in a “stable relationship” for 5 years, they may petition the government for the recognition. Another report notes that senators opposed to the bill claimed that the ruling party was trying to rush the bill through without "the normal procedures."